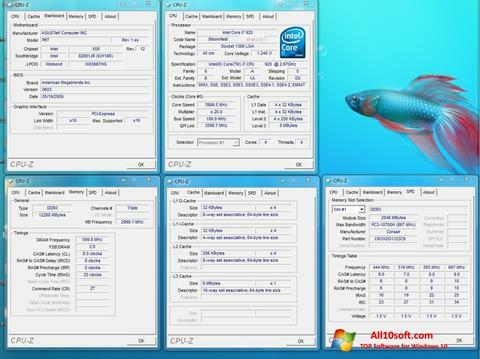 CPU-Z for Windows 10 - A utility for displaying information about the central processor. The application is able to analyze the data of a large number of processors, uses a constantly updated database, allows you to show the type, brand, architecture and process technology of production, includes the ability to read information separately for each core and bus. The utility supports the analysis of RAM, is able to display the timings and SPD blocks. The program has a simple user interface and a portable version, contains the mode of exporting and printing data, allows for a series of RAM performance tests. You can free download CPU-Z official latest version for Windows 10 in English.